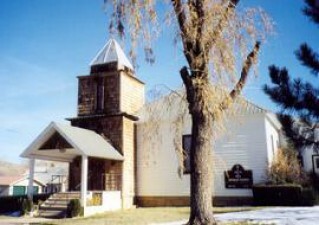 Our Lady of Victory structure was begun in 1901 and completed in 1903. 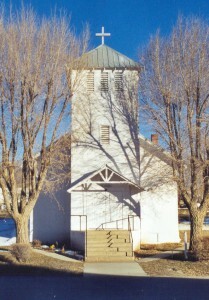 Prior to its completion, for many years mass had been held on an irregular schedule in the homes of local residents, celebrated by priests who traveled from Telluride, Colorado by horseback or by narrow guage railroad. 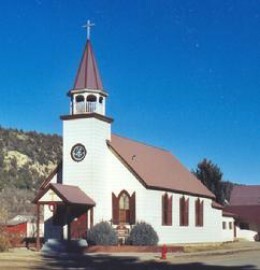 In 1913 the priests assigned to Mancos began traveling to Dolores twice a month to celebrate mass. 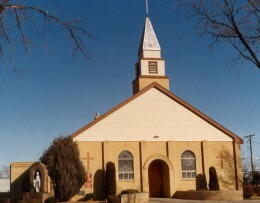 Our Lady of Victory has survived two fires: one in 1949 in the interior of the newly constructed hall, and the other in 1956 that damaged the interior of the church itself. The title for Mary of “Our Lady of Victory” dates from victories attributed to the Blessed Virgin Mary in battles in the thirteenth and sixteenth centuries. In Dolores, Our Lady of Victory feast day is celebrated on the feast day of Our Lady of Sorrows on September 15.